Kids use more toothpaste than required because they are not aware of the right quantity. It might be a small issue which does not bother most of the parents. But do you know the use of more toothpaste than needed by kids can lead to tooth decay? According to the recent study, kids who use more toothpaste than needed are at a higher risk of dental fluorosis when they get older. Fluorosis is a condition that affects the teeth. It occurs due to overexposure to fluoride during the first eight years of life. Fluoride is a mineral which is found in water and soil. Previous studies found that people who drink natural water consumed more fluoride and suffered from less cavities. On the basis of this study, fluoride was later added to toothpaste, mouthwash and other oral products. But now the recent study found that too much fluoride can lead to tooth streaking, spots in teeth and dental fluorosis. The study also recommended that kids should use only peas sized or less than pea sized toothpaste for healthy teeth and gums. 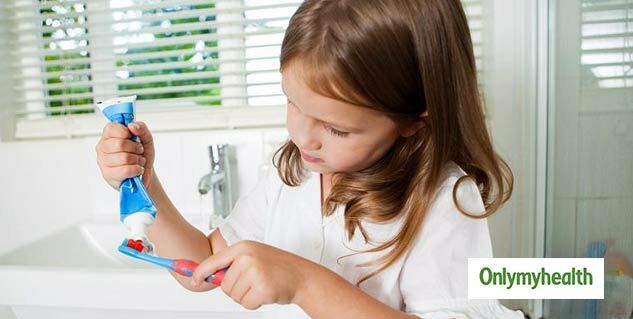 But it was found that more than 40 percent of the kids use a brush half or full of toothpaste. According to the experts, fluoride is great for oral health if used in right proportions. For the study, more than 5,000 kids were observed between three to fifteen years of age. The researchers from Centers for Disease Control and Prevention conducted the research. After the completion of the research, it was recommended that kids below three years of age should use toothpaste of the size of a rice grain. Whereas kids aged three to six should use a pea-sized amount. The researchers also recommended that parents should also monitor toothbrush and toothpaste of their kids just like food.